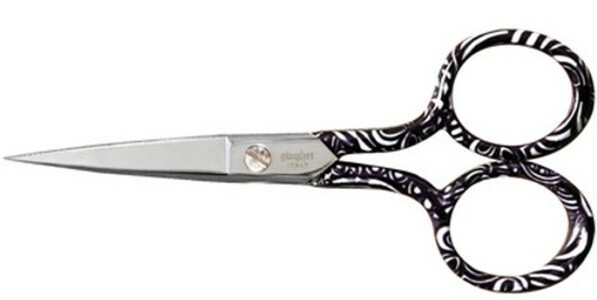 Knit 2 Together: Gingher Scissors!!! I never knew these beauties existed until Marcia introduced us to all that is Gingher! 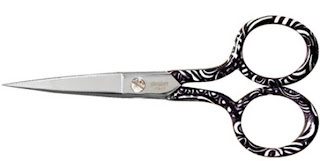 How stunning these beautiful scissors are! So hard for me to want to even take them out of the box, just look at all the details and colors! Last year she so sweetly gifted both my sister and I a pair and this year we were once again delighted with another amazing pair! How wonderfully thoughtful! I have since taken them out of their box and yes gasp used them a gazillion times but never without great care to put them back in their box! Look how beautiful they are!! Thanks Marcia for such a beautiful gift, we are so blessed to have such an amazing teacher in all that is knitting!